How often do you get to watch a Master at work? In this tutorial you're in the virtual studio with Dubstep producer Hollin Jones where you'll witness the creation of an electronic dance masterpiece using Reason 6. This adventure begins with Hollin exploring ideas as he looks for inspiration from the tempo and the beats. Watch as he experiments with different loops and patterns and builds the rhythmic foundation of his Dubstep composition. From there he moves on to the melodic part of the production process. 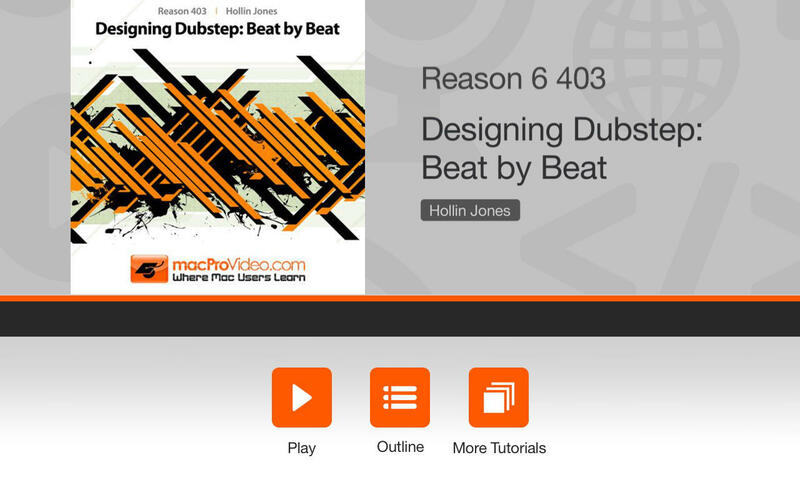 This is where you'll learn all about bass sequencing including Hollin's take on creating the infamous Wobble Bass sound. Next he'll add some piano, do some automation editing, and create some guitar tracks enhanced with FX. The section that follows is all about adding those all-important sonic flourishes that become the glue holding the composition together. This whole adventure comes to a musical climax as you sit right next to Hollin while he mixes and masters his newly-born Dubstep track. So if you want to learn all about Dubstep and get an education in track production in the process, this tutorial will get you there!